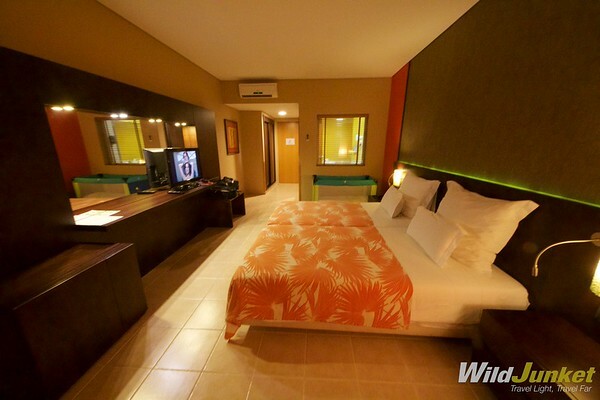 It's got the perfect combination of a relaxed beach setting and modern, comfortable amenities. The only downside to the hotel is probably the architecture - while the interior is up to standards, the exterior of the hotel needs some character and style. 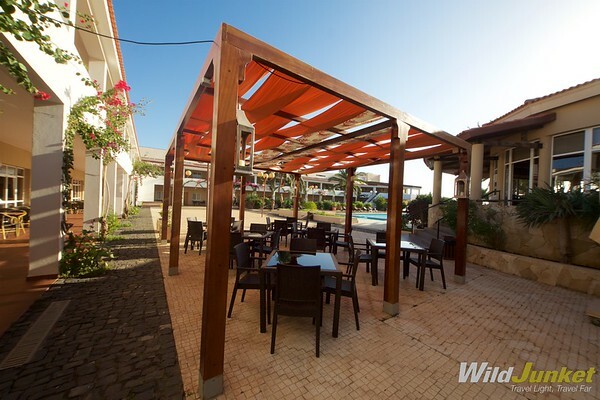 With a casual yet contemporary style and a beachfront setting, the Pestana Tropico Hotel is one of the best hotels you can find in Praia, the capital of Cape Verde. 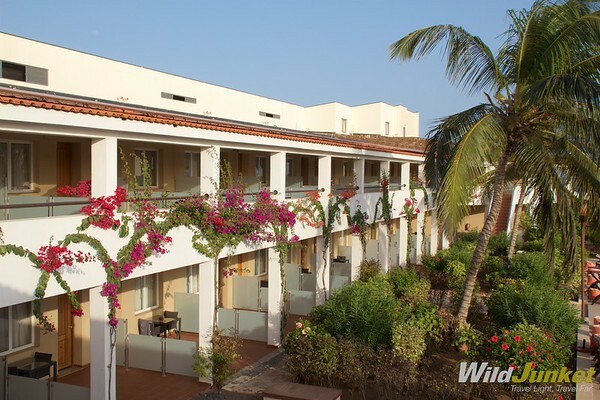 With a casual yet contemporary style and a beachfront setting, the Pestana Tropico Hotel is one of the best hotels you can find in Praia, on the island of Santiago in Cape Verde. It’s simple and unpretentious, yet modern and stylish all at once. With a name that shows off its tropical flair, Pestana Tropico Hotel’s design and decor sets you in the right mood for a beach holiday. The running theme here is of course beachfront tropical – highlighted by teak furnishing, bright orange and red textiles and palm tree designs everywhere in the resort. You’ll also find hints of its Portugese heritage in the intricate wooden carvings and paintings dotted around the resort. 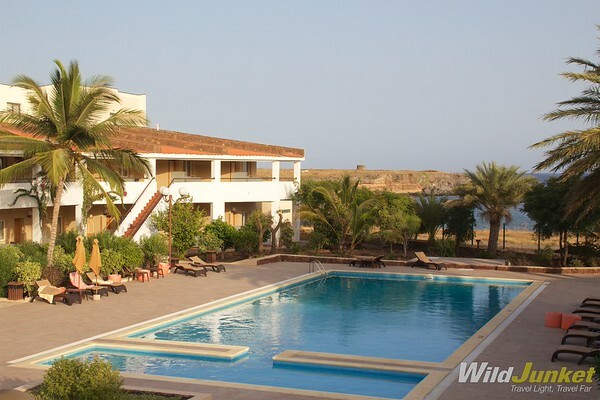 But the resort’s best feature of all has to be its unbeatable location right on the sea front. 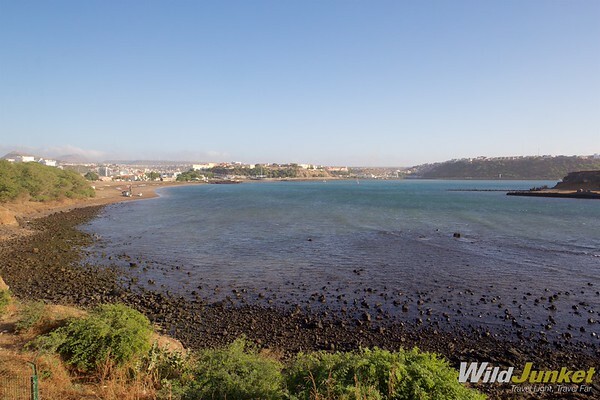 Facing the main beach of Praia city and the old town of Plateau in the distance, the resort is enveloped in an endless sea breeze and basking in the West African sunshine. 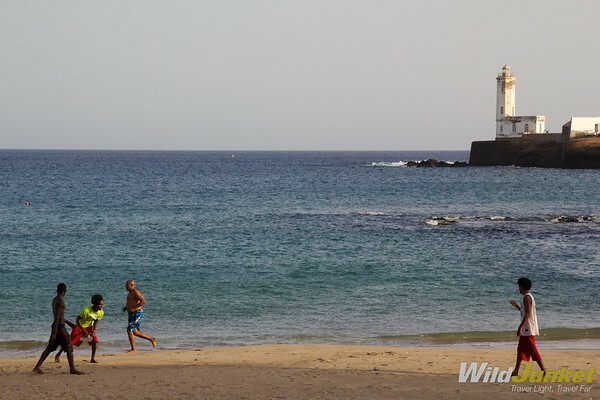 While the sea surrounding the resort isn’t exactly of swimming conditions, you’ll find Prainha beach, a small, clean bay just 500m from the resort where you can take a dip in the fresh cool waters of the Atlantic Ocean. Having just been renovated and expanded in 2012, the Pestana Tropico feels fresh and updated – with rooms designed to the fit the needs of modern travelers. 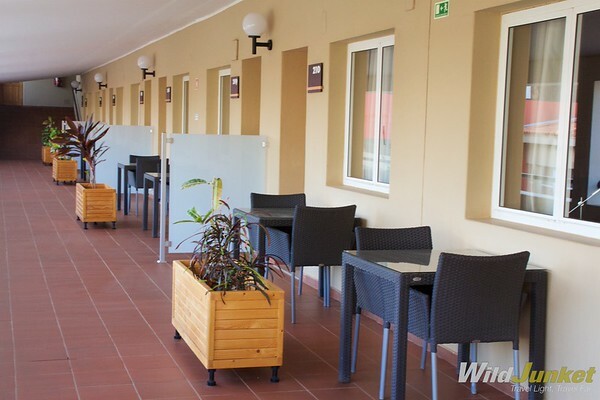 Besides being furnished with bright colors typical of the African continent, all of the hotel’s 93 rooms are extremely spacious and bright, featuring large windows that bring in lots of natural light and ceramic-tiled floor that are shiny and sparkling. A transparent glass window opens up the bathroom to the bedroom, creating quite an intimate atmosphere. Laid out in an L-shaped formation overlooking the sea, all rooms at the Pestana Tropico are beach or pool facing. The rooms range from standard pool view to executive rooms with sea view to classic suites and even a presidential suite. Beyond the rooms, the resort’s corridors and gardens feature red and pink bougainvilleas, hibiscus and large coconut trees that sway to the gentle sea breeze. As a part of the Pestana Hotel and Resorts chain, the hotel promises a high standard of service and amenities in line with the brand. 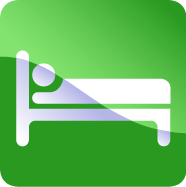 All the rooms are equipped with free Wifi, air-conditioning, a digital safe, and even a work desk with an ergonomic chair for business travelers. Pestana Tropico has four meeting and banquet rooms with a capacity for up to 200 persons, ideal for business and social events. The hotel’s main focal point is the large pool and outdoor terrace area that faces the sea on one side and hotel’s main building on the other. 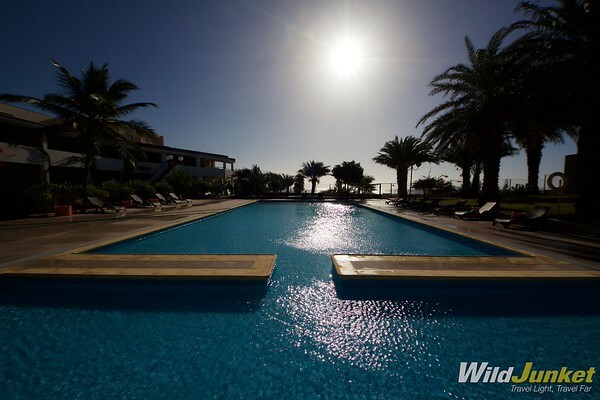 The outdoor pool is filled with saltwater – so you’ll feel as though you’re actually swimming in the sea. Right by the pool is a gate that gives you beach access. 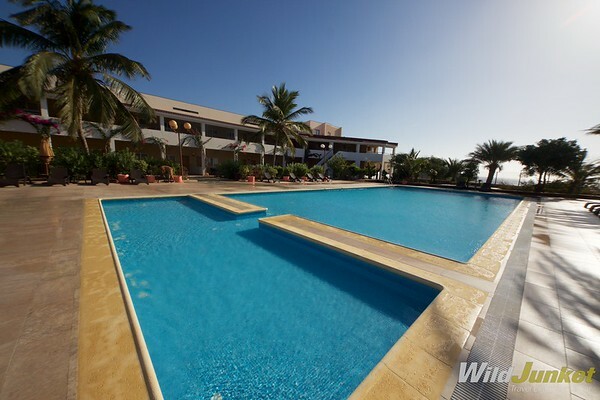 Centered around the pool is the Ilheu circular bar, an excellent spot to enjoy a drink following a busy day excursion. To top it all off, Pestana Tropico is home to one of the best restaurants in Praia: Restaurant Alex that dishes up delicious gourmet food including some Cape Verdean, Portuguese and international specialities. Every night, the restaurant offers a buffet dinner that consists of three course: the soup, salads, appetizers and desserts can be chosen from the buffet table, while the main course is selected from the main menu. I highly recommend the grilled tuna salad accompanied with sweet potato fries – juicy, tender and seared to perfection. The Pestana Tropico is located in a safe and high-end residential area, walking distance from popular restaurants and bars like Ipanema and El Pescador. Many embassies are located here so rest assured it’s safe. 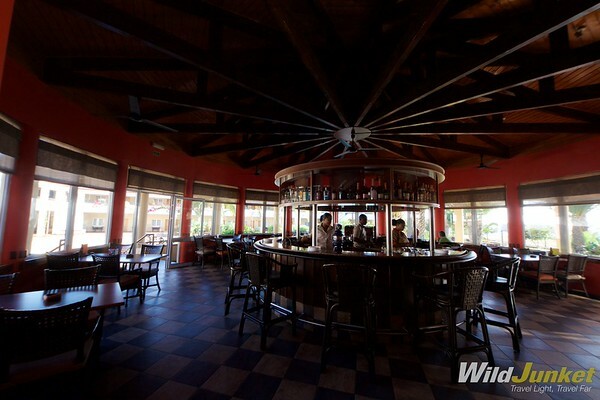 A 15-minute walk away is the popular Praia Shopping Mall where you can find fast-food eateries as well as a posh dining spot perfect for a sundowner in the evening. The historical center of the city of Praia, known as Plateau, is located within a 20-minute walk from the hotel. 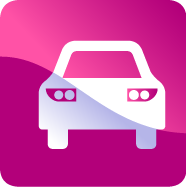 A taxi into Plateau costs just 200 CVE (US$2 or 1.70 euros). It’s not advisable to walk at night but it’s definitely safe to stroll around during the day. The hotel also has a team of private security 24 hours around the clock. 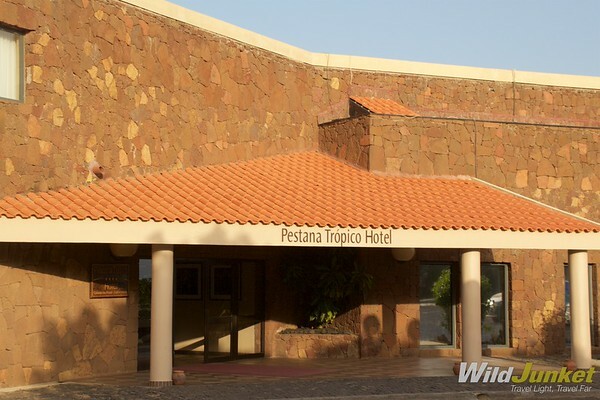 All in all, Pestana Tropico is an excellent base to explore Praia as well as the rest of the Santiago island. 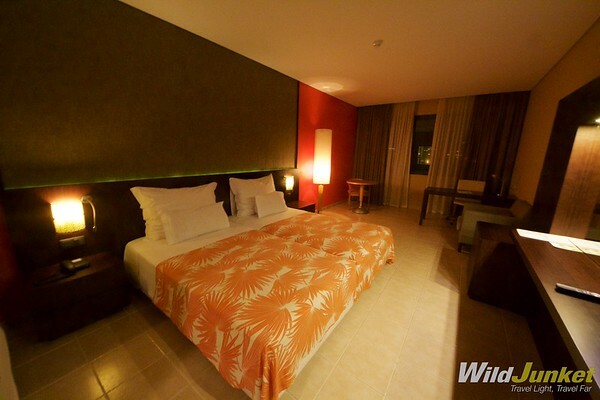 It’s got the perfect combination of a relaxed beach setting and modern, comfortable amenities. The only downside to the hotel is probably the architecture – while the interior is up to standards, the exterior of the hotel needs some character and style. That said, its affordability coupled with great location definitely deserve a thumbs-up. 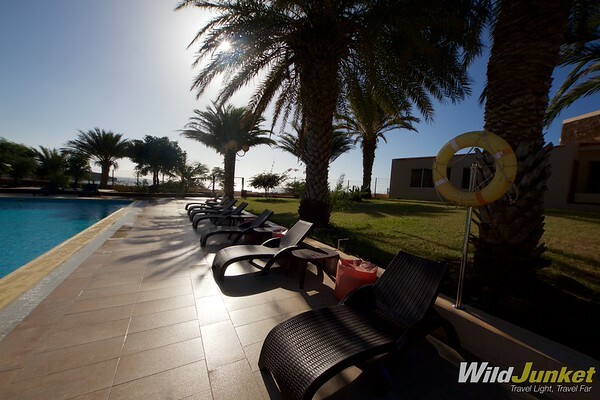 I know where I’m staying the next time I’m in Cape Verde. 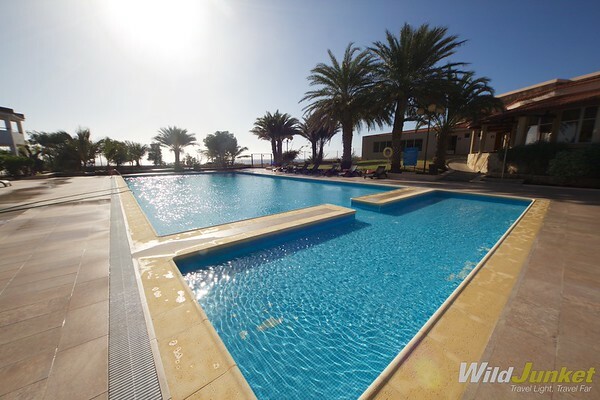 Cape Verde Experience offers 1-week packages to Cape Verde that include a stay at Pestana Tropico Hotel and flights from the UK starting from £984 or US$1426 per person (for two sharing). 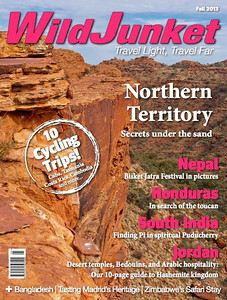 Nellie Huang is the co-founder and editor-in-chief of WildJunket. 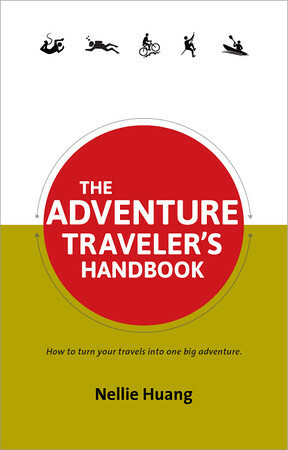 As a professional travel writer with a special interest in offbeat destinations, she has written for numerous publications including CNN, International Business Times, BBC, Wend, and Lonely Planet. In her quest for adventure, she’s climbed an active volcano in Guatemala, swam with sea lions in the Galapagos, played with lemurs in Madagascar and cruised alongside penguins in Antarctica.